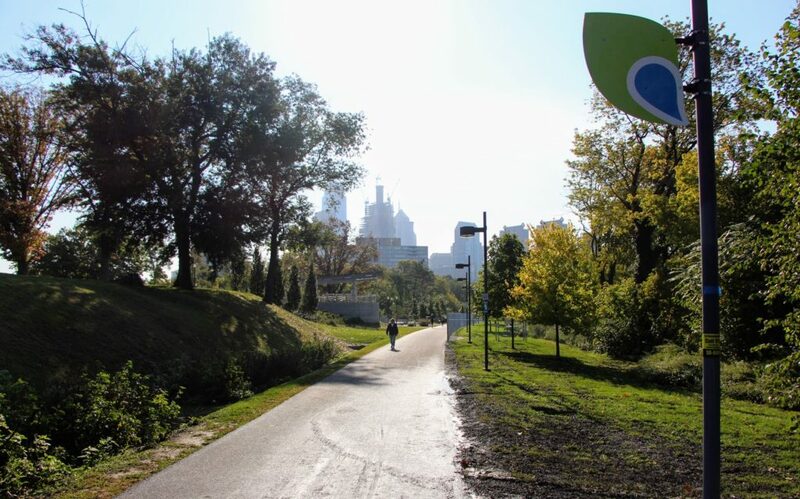 There may be no more classic Philadelphia bike ride than the 8.5-mile loop along the Schuylkill River Trail (pronounced “Skoo-kle,” for those looking to avoid a common visitor faux pas). 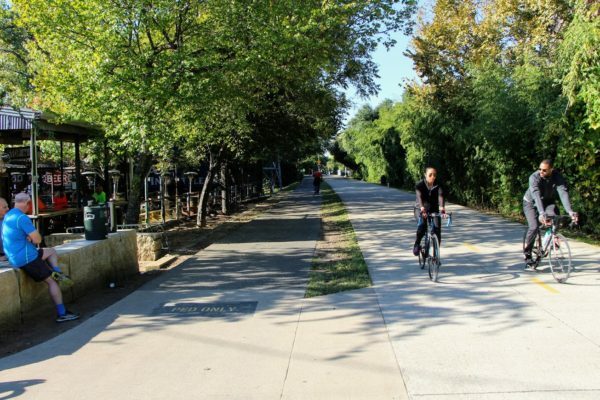 If you don’t believe us, just ask 10 Best, who named it the #1 urban bike trail in the US in 2015. 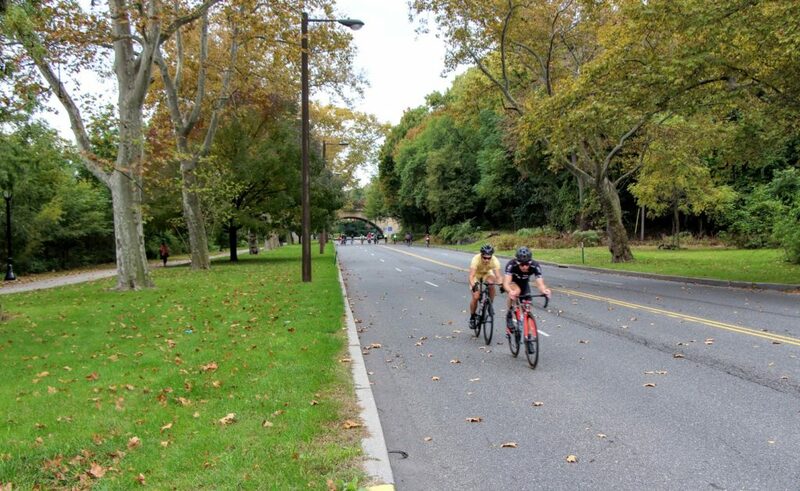 Starting just west of the famed Art Museum Steps, this predominantly flat multi-use pathway takes cyclists on a scenic tour of Fairmount Park – the biggest park in the city and one of the largest public greenspaces in the United States. 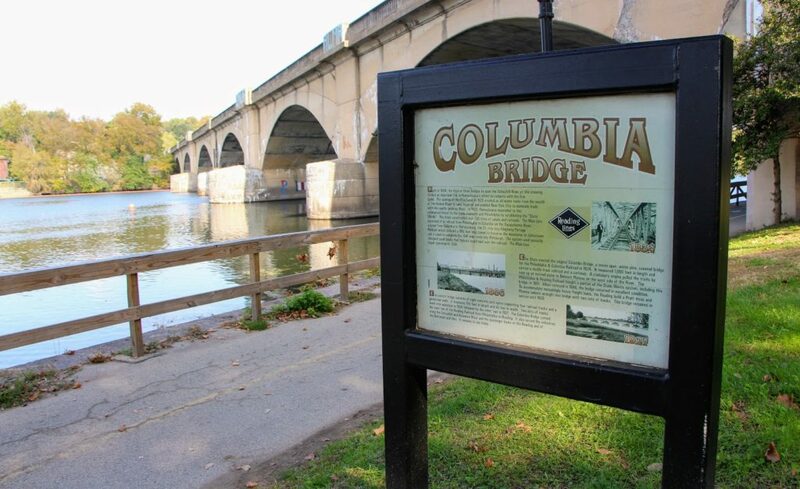 There are no shortage of interesting sights to admire along the way, from historic stone bridges to the towering Philadelphia skyline. In fact, were you feeling particularly ambitious, you could even follow the trail south to Naval Square and as far north as Valley Forge. 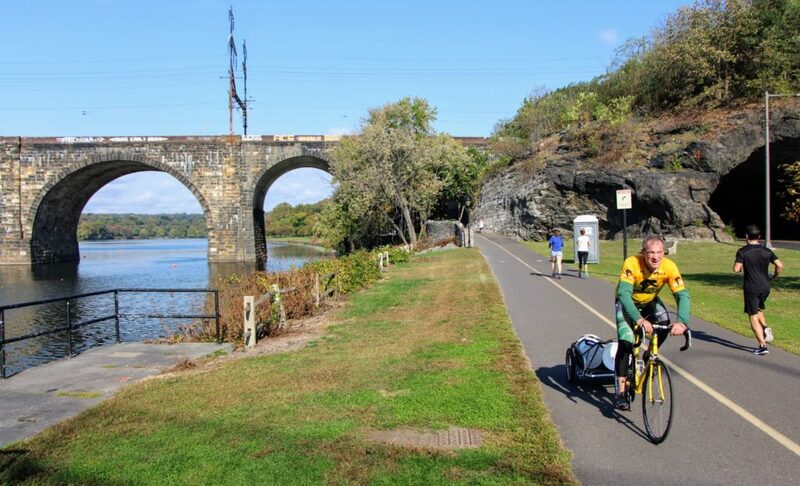 That the Schuylkill River Trail has become a destination attraction at all is something of a surprise, given its history. 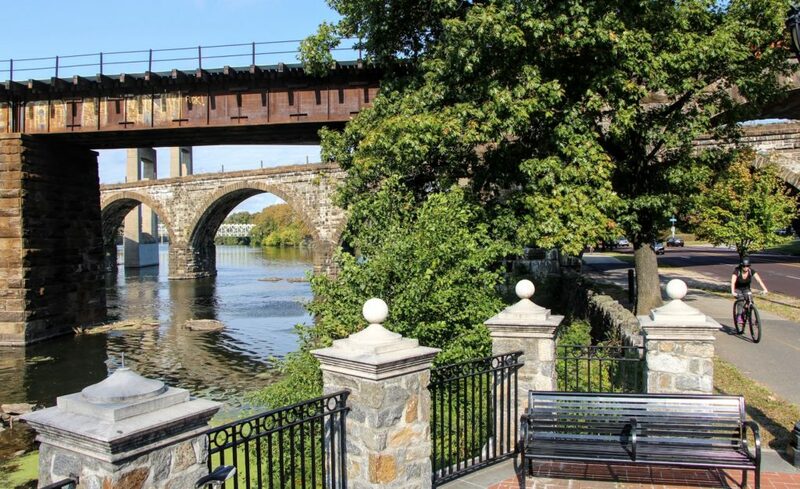 Thanks to the region’s wealth of natural resources including iron ore and anthracite coal, the river played a key role in the Industrial Revolution and the modernization of Southeastern Pennsylvania. Mills and mines once thrived along its banks, so much so that it actually caught fire several times throughout the 19th and early 20th centuries. Don’t worry, though – robust cleanup efforts have helped to significantly reduce pollutants to bring the Schuylkill back to its former natural beauty. In terms of logistics, it should go without saying that the closer to the city you are, the more congested the trail becomes. This is particularly true from the Fairmount Water Works building to Lloyd Hall. Things clear up considerably as you work your way north towards the Falls Bridge, giving you plenty of time to appreciate the surrounding scenery. 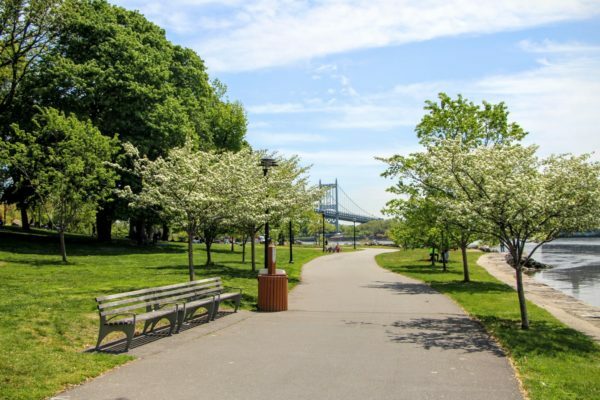 To make the ride even more enjoyable, the city closes down Martin Luther King Jr Drive (on the west side of the river) weekends between April and October. 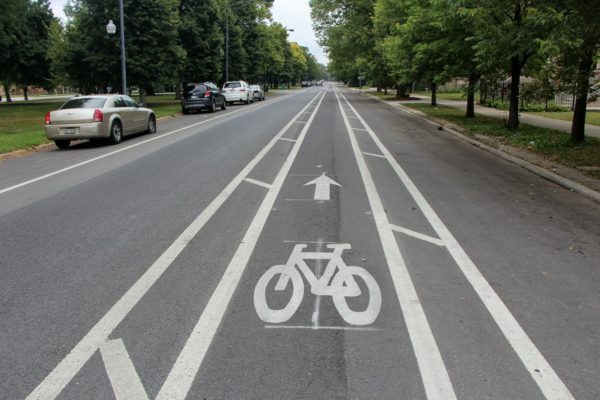 This gives cyclists a wide, two lane thoroughfare on which to ride uninhibited, which is why you’re likely to spot groups of lycra-clad warriors here throughout the summer. 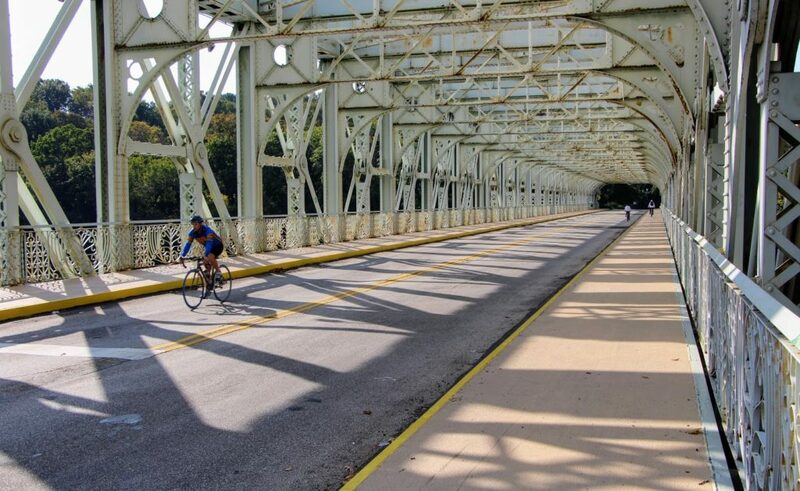 Just be advised that the bike lane along MLK Dr essentially narrows to a sidewalk as you cross the bridge back towards the Art Museum. 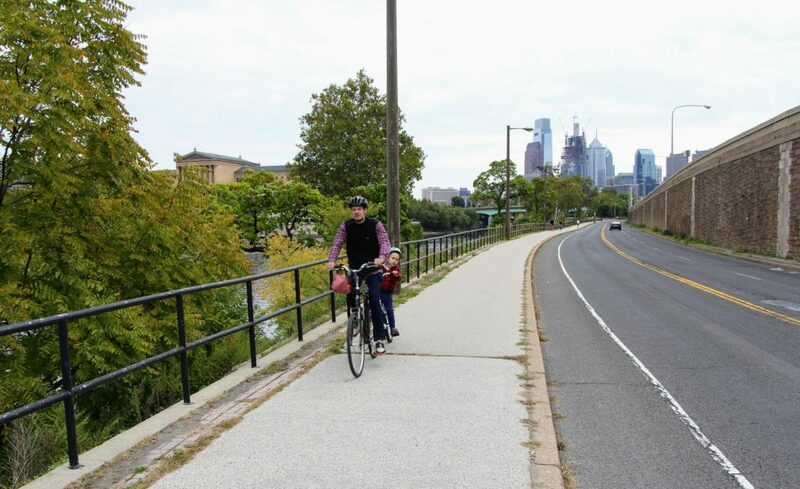 It’s a relatively minor complaint for a such wonderful stretch of urban riding that lets you experience both Philadelphia’s rich history as well as its vibrant riverfront.